De-mutualization is the process of converting a mutual life insurance company, owned by its policyholders, to a publicly traded stock company owned by shareholders, pursuant to a plan of conversion approved by government regulators. 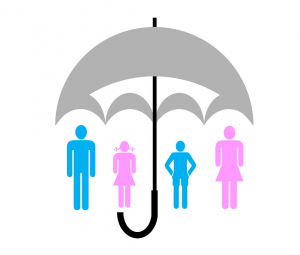 Many of the nation’s oldest and largest life insurers began as mutual insurance companies. Most – including Prudential, John Hancock, MetLife, Equitable, Principal and Mutual of New York – have since de-mutualized. Mutual life policyholders (and heirs) continue to be entitled to receive whatever policy benefits may be due, but in addition receive stock, cash and/or policy credits in exchange for their ownership interest in the old mutual insurance company. The amount paid to each policyholder is based on a number of factors, including length of time the policy has been in force, face value of the policy, and total premiums paid. For many policyholders, the windfall arising from de-mutualization can be substantial, but millions of missing policyholders and heirs aren’t aware they are entitled to receive de-mutualization compensation. When John Hancock de-mutualized, it did not have current addresses for 400,000 policyholders entitled to receive compensation, and MetLife estimates 60 million shares of stock arising from its de-mutualization – worth billions of dollars – went unclaimed. Contact efforts were unsuccessful, due to name changes after marriage or divorce, unreported changes of address, expired postal forwarding orders and non-current beneficiary information. If you or a deceased family member had a policy with one of the companies listed above and have not received payment, contact us to set up an appointment.